We give you great garage door tips on everything from openers to structures. Come and visit. 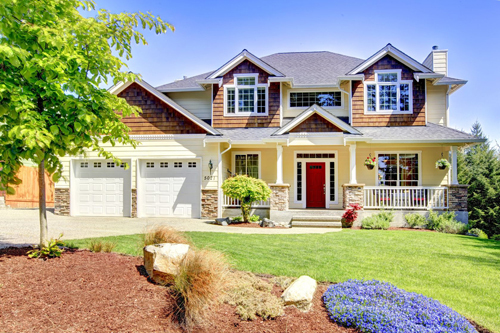 There are many options among garage door openers today and the specialists of our company in Port Washington can help you out. You must take into consideration whether they are for commercial or residential use, estimate the horsepower of the garage door motors depending on the weight of the door and think of your own needs, too. Don't overestimate the strength of galvanized garage door parts. They are surely protected from the zinc plate they are coated with but a tiny hole or crack may destroy the steel material underneath and you will still encounter the same problems with rust as if the components weren't made of galvanized materials. Lubrication maintenance is necessary. With time the bolts on your installation will begin to loosen. Our company in Port Washington recommends tightening on a regular basis. Often it is a case of shrinking and vibration which are virtually inevitable. Put the structure in the downward position with electronics disconnected when doing this so that the panels meet. When it comes to a worn-out garage door, people will have to deal with snapped cables, broken springs and faulty rollers and bearings. 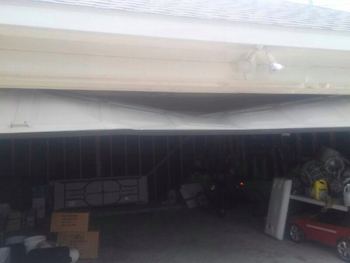 In that event, it is recommended not to open or close a garage door excessively. Hence, you will manage to keep it working properly for a long period of time.